Looking to get involved this winter? Meany Lodge is looking to fill several committee positions. Also, we're putting out a call to help transport our snow cat to town. Meany Lodge is looking to fill several committee postions that will put you at the heart of one of The Mountaineers most vibrant communities. Located just three miles off I-90, the lodge is nestled on a scenic ridge near the eastern portal of the historic Stampede Pass Train Tunnel. 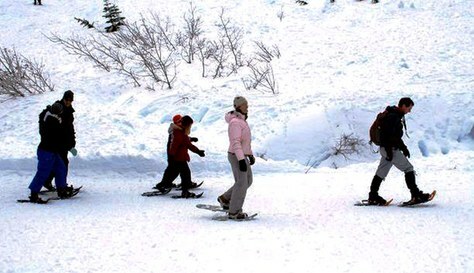 For winter fun, the lodge features a private ski slope with groomed and backcountry runs for all skill levels. In addition, cross-country skiers can enjoy about a mile of groomed trails, with many more routes winding through the surrounding landscape. If you're interested, email Meany Chair Chuck Welter at chair@meanylodge.org. You do not need to be available for the whole season but do need to be able to commit to one or two weekends. Meany Host: Responsible for managing Meany during a weekend stay or event. First Aid Point: Responsible for any medical issues at the lodge for a given weekend. Winter Sports School: Instructors and assistants needed for both downhill and cross-country ski courses. Mechanic: Responsible for maintenance of our vehicles. Webmaster/Brown Paper Tickets Admin: Website maintenance and registration support. Meany is looking for a very specific type of volunteer support. We would like to find someone or a company willing to help us transport our snow cat to exhaust specialist in town. "Tom Cat" weighs about 10,000 lbs and is 8 ft wide. We can drive it to a convenient loading spot near exit 62 off of I-90.